A new channel has started in DVB-S Clear: Yemen Today (Yemen) on 12685.00MHz, pol.H SR:27500 FEC:5/6 SID:1500 PID:1501/1502 Arabic. Yemen Today (Yemen) broadcasts in DVB-S Clear on 12685.00MHz, pol.H SR:27500 FEC:5/6 SID:1500 PID:1501/1502 Arabic. A new channel has started in DVB-S Clear: Yemen Today (Yemen) on 11509.00MHz, pol.V SR:1300 FEC:5/6 SID:100 PID:36/34 Arabic. A new channel has started in DVB-S Clear: Yemen Today (Yemen) on 12341.24MHz, pol.H SR:27500 FEC:5/6 SID:3013 PID:2029/2033 English. A new channel has started in DVB-S Clear: Yemen Today (Yemen) on 12182.00MHz, pol.H SR:16200 FEC:3/4 SID:101 PID:512/4112 English. A new channel has started in DVB-S Clear: Yemen Today (Yemen) on 12543.00MHz, pol.H SR:27500 FEC:5/6 SID:1500 PID:1501/1502 Arabic. New frequency for Yemen Today: 12685.00MHz, pol.H (DVB-S SR:27500 FEC:5/6 SID:1500 PID:1501/1502 Arabic- Clear). A new channel has started in DVB-S Clear: Yemen Today (Yemen) on 12603.00MHz, pol.H SR:27500 FEC:5/6 SID:1307 PID:2007/3007 English. 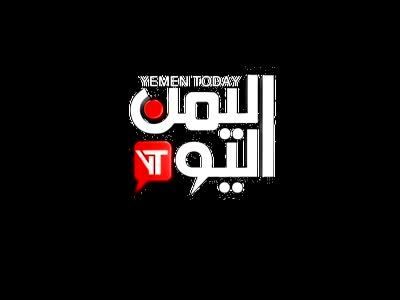 Yemen Today has left 10815.08MHz, pol.H (DVB-S SID:14 PID:48/47 Arabic), it is no longer transmitted by satellite in Europe. A new channel has started in DVB-S Clear: Yemen Today (Yemen) on 10815.08MHz, pol.H SR:27485 FEC:5/6 SID:14 PID:48/47 Arabic. Yemen Today has left 11601.00MHz, pol.V (DVB-S SID:1 PID:36/34 Arabic), it is no longer transmitted by satellite in Europe. New frequency for Yemen Today: 12437.14MHz, pol.V (DVB-S SR:27500 FEC:3/4 SID:3804 PID:2061/2121 English,6553 English- Clear). Yemen Today switched to Nilesat 201 satellite at 11765.84MHz, pol.H (DVB-S , 11765.84MHz, pol.H SR:27500 FEC:5/6 PID:3006/3007 Arabic). New SID for Yemen Today on 11600.00MHz, pol.V FEC:3/4 SR:2170: SID:1 ( PID:36/34 Arabic - Clear). Yemen Today is testing in DVB-S Clear on 11544.00MHz, pol.H SR:2170 FEC:3/4 SID:42 PID:36/34 English,35.